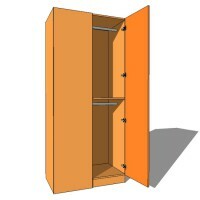 Double wardrobe, double hanging. 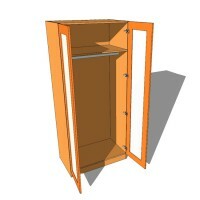 Includes unit, hinges, doors and 2 hanging rails. 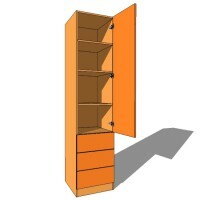 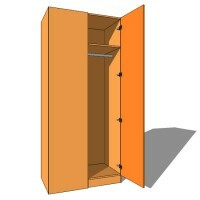 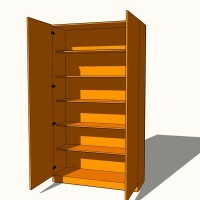 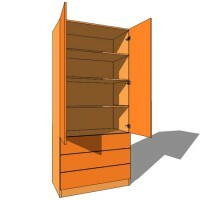 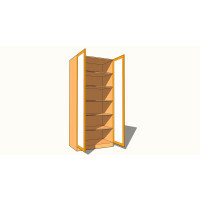 Double wardrobe, with five fixed internal shelves. 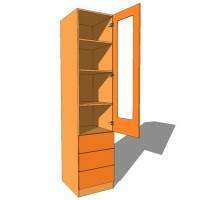 Includes unit, hinges, shelves and doors. 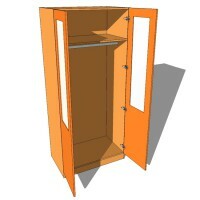 Double Wardrobe Double Hanging Full Glazed Includes unit, hinges, doors and 2 hanging rails. 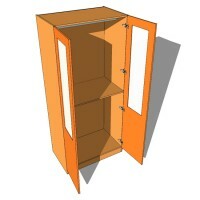 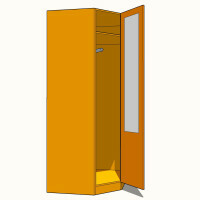 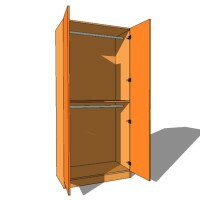 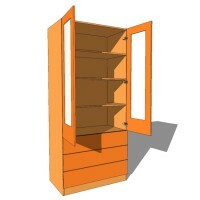 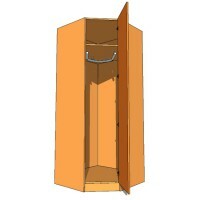 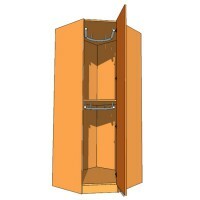 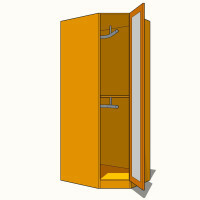 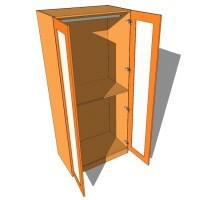 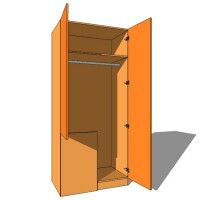 Double Wardrobe Double Hanging Part Glazed Includes unit, hinges, doors and 2 hanging rails.